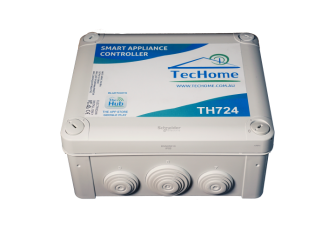 The TH724 Smart Appliance Controller will allow you to wirelessly control all your hardwired 240v appliances, such as hot water systems, pool pumps, air-conditioning & lighting. Control your outdoor electrical products with the push of a button and embrace the easy life. Must be installed by a qualified Electrician. 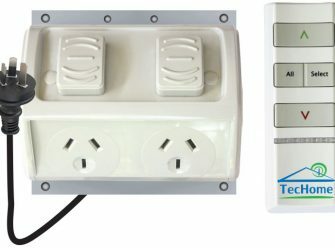 Control your outdoor electrical products with the push of one button. Say goodbye to ordinary power outlets and embrace the easy life. 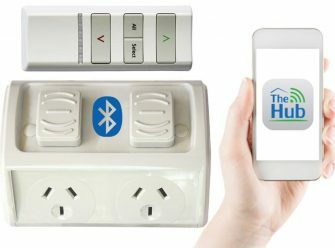 The latest generation BlueTooth enabled remote controlled outdoor powerpoint, equipped with the latest features and allows you to control your outdoor device via a free smart phone automation app. Need an automated system within your home, business or industry? Techome can customise a solution for you! We specialise in providing customised automation solutions to home and business owners, factories and various industries. We understand that every customer’s automation requirements are different, so each solution is designed to precisely meet the customer’s specifications and needs. If you’re looking to integrate multiple devices into one automated system, Techome can assist you with finding the right solution. We offer a complete service and will work with you throughout the entire process, from specification to installation. Automation is a system of devices that interact with each other and can be operated by a central control module. An automated system can be applied to homes, business or industries to give the user remote or automatic control of multiple devices. For example, a home automation system or ‘smart home’ can automatically control lighting, heating, cooling, home entertainment, security, window shutters, blinds and outdoor lighting (and more) at various times of the day. 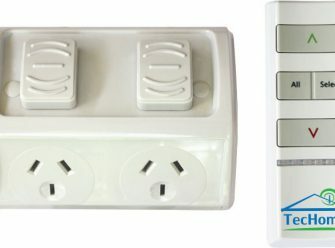 A home automation system replaces a table full of remote controls, can reduce the amount of light switches and fan controllers on the wall and are simple and intuitive for anyone to use. TecHome’s ranges of actuators have been carefully selected to offer you the best quality at the most competitive price. Click here for more information or to purchase from our actuator range.